Paperback, 8.25 x 10.25 in. / 400 pgs / 224 color / 55 bw. Edited by Alexandra Schantl. Text by Dieter Bogner, Hermann J. Painitz, Elisabeth von Samsonow, Alexandra Schantl, et al. Working in painting, sculpture, literature and photography since the early 1960s, Vienna-based artist Hermann J. Painitz (born 1938) creates semiotic systems in pictograms and abstract geometries. From early in his career, Painitz was inspired by—and created a unique synthesis of—the "Isotype" symbolism of his fellow Austrian, Otto Neurath, and the kinetic art and concrete poetry movements prevalent throughout Europe in the 1960s. Painitz's codified abstractions sensualize the abstract while ridding themselves of personal expression; he has devised semiotic works on commission designed for public utility. 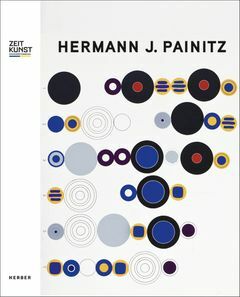 With a wealth of color reproductions, this hefty, 400-page volume focuses on Painitz's works of the 1960s and 70s, which range from permutational geometric paintings to alphabets, posters, prints, portable sculptures and even mail boxes. Also included are critical essays and archival documentation. FORMAT: Pbk, 8.25 x 10.25 in. / 400 pgs / 224 color / 55 b&w.